Our journey with BitShares Munich has been amazing so far! Over a year ago we started with a simple idea. Since then we went to countless startup conferences, we pitched all night and our passion for Blockchain, BitShares, and Steem grew on every step. We worked through long sleepless nights, downed liters of coffee so that we can become one of the new rising Blockchain Startups one day. I am very happy that I found my two awesome co-founders @kencode and @rodrigocrespo who share the same vision, passion and love for Blockchain technologies with me. Together we are forming a great team and we will help streamline the digital currencies adoption for Bitcoin, Steem, and BitShares all over the world. Why are you adding Steem to the list of cryptos you support? And why should Steemians participate in your ongoing ICO? Steem is the little brother to BitShares and part of our family and history. We are big Steem supporters and love the active and friendly community on Steem. Once we were asking Steemians for their translation help and received an amazing amount of support, love, and feedback for our Smartcoinswallet. We paid Steemians over 7,000 Steem Dollars in rewards https://steemit.com/writing/@kencode/do-you-know-a-foreign-language-crowdvoting and were able to translate our wallet into 44 languages in just under 48h. WOW! What an amazing community! The Steem community is growing every day and more and more Steemians are wondering how to use their newly fresh earned Steem Dollars. Today most of the Steem Dollars are still online and we all have to pay our bills offline. So what should we do? You asked us these questions yourself and we decided to build a simple solution for our fellow Steemians. We are going to integrate Steem and Steem Dollars to our latest mobile wallet (Smartcoins Wallet) (https://play.google.com/store/apps/details?id=de.bitsharesmunich.smartcoinswallet) and to our merchant solution BlockPay (www.BlockPay.ch). 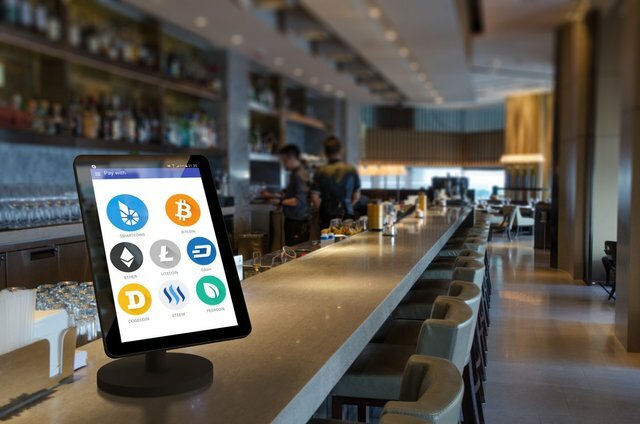 In this way we are giving back to the community and give all Steemians a simple eWallet to hold their Steem Dollars on their Android phones and provide a great merchant tool for restaurants, stores, bars, vending machines, hotels and much more who can now accept Steem Dollars at zero cost. We want to create a bridge between the online and offline world and give all Steemians who earn their Steem Dollars online the right tools to use their funds in their everyday life. Just thinking about the impact of Steem and BlockPay on rural areas blows my mind. In your opinion, what’s the future of Steem’s (and in extension, cryptos) acceptance in physical stores? I see a very bright future for Steem´s acceptance in physical stores through free merchants tools like BlockPay. We are pushing hard to get BlockPay in every store near you so that Steemians can use their hard earned Steem Dollars in their everyday life. Merchants will love to accept Steem Dollars due to their high security, price stability and the fact that Steem Dollars pay interest! In a zero interest economy, this is revolutionary! Steem in combination with BlockPay solves most of the merchant's payment problems, saves time and money and even adds an extra layer of anonymity to the whole payment process. We just started to partner up with @steemdrive and his team to promote Steem and BlockPay around the world. If you like our idea, please support us on Steem, upvote and share the content from @kencode @chris4210 and @rodrigocrespo on Steem and join our Startup journey. We are looking forward to making this world a better place together. You've had a series of really low payouts. At what point did you decide not to give up on Steemit? I almost wanted to quit but I had this little voice inside me to just keep going. At first I wanted to ignore that little voice and I kinda threw in the towel. I changed my thinking and started to focus on something else instead of writing and when I did that, the first moment I shared one of my drawings and got a few nice replies on them it started to make me feel better. It made me smile knowing that I have been spotted by a few very kind people. I started to get a little bit more votes and that made me decide to stick around and put more time in it. Honestly, low payouts bothered me when i was in my first week and seeing some copy paste content on trending list while even while I am working so hard for my posts it was going with penny's. Then some guys offered me to feature in their account by my story. I felt happy. I earned some. I gained some followers. I believe in future of steemit, this platform can change my life. Here I can share my views,opinions,work to earn some bucks which will surely help me. The people i met here during all of these is who stopped me and gave me motivation that you can actually be part of this. I have seen people starting from 0 payouts to 1000's by just their work and it feels nice. They deserve it. May be, someday later. But this platform is amazing, I am staying here for long now surely. I wont give up because my time will come, time that I will be noticed. Besides, I'm enjoying what Im doing, writing content even if im not a writer. honestly I`m ready to give up every day . But then I think what the hell!. Seeing next to no payouts consistently got to me a little then and it still does periodically. I can't really give a specific point of not giving up, it's more of a general mindset, but having real life and new virtual friends on here helps a lot. Even while I had a string of low payouts, someone in my friend group was doing well, which vicariously gave me hope. I really try to keep my 'gamer mentality' that there is always a way to win, I just haven't found it yet. Sometimes this means changing the rules a bit (i.e. payout amount wasn't my only metric to win.) This really is a game where everyone gets to choose their own 'win' conditions. Things that help keep me positive include posting things that I have to say regardless of payout, focusing on improving my writing, formatting, etc, and diversifying by having collaborative project like the steemit talk podcast or my interview with fyrstikken. Before coming here I'd not written a word for at least 10 years and never did anything like the podcast or interview, while writing is my focus, getting outside my comfort zone is a gratifying experience in itself. While I know the importance on the payout for bills and whatnot, my metric is personal growth, and there's no doubt I've gotten better since I joined Steemit. ~ Steem loses a couple of position and it’s currently 7th on the coinmarketcap.com’s crypto market capitalization list. ~User retention rates were widely discussed with @dantheman and @gavvet bringing evidences to suggest all is well. ~ @roelandp releases SteeMVP.com, a blockchain tool that shows your top supporters. ~Promoted Contents were introduced with a promoted tab and @null account being introduced. ~ Steem 0.14.0 was announced introducing a number of changes. However, the controversial target votes limit of 5 has caused widespread debate on its practicability and fairness. There seem to be 3 groups now: Those in support, against and the “Let’s try it out” group. ~$0.71 and $1.20 were the lowest and highest value traded for a unit of Steem respectively. SteemMag would like to send a shout out to @complexring (An early adopter, fiction writer, a witness and a whale. A man of many hats I must say) as he exchanges wedding vows today. Join me in wishing him HML. Have a steamy weekend, man ;) You rock. 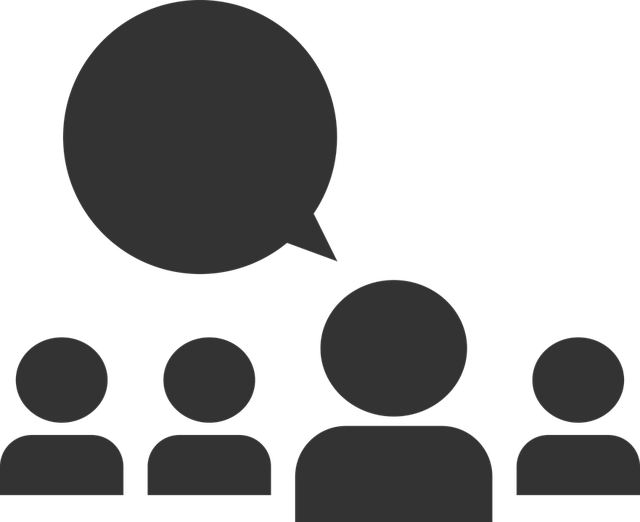 If you've got any suggestions, please make a comment using the reply box below or send a message to me on steemit.chat @infovore. Thank you @infovore for the nice interview. We are really happy to be part of the Steem community and to provide value to all Steemians with our #BlockPay Startup journey. Thanks @chris4210 for taking the time to have a chat with SteemMag. You guys are doing a great job of spreading steem and other cryptos to the layman. Looking forward to more exciting times in your journey. Thank you for a good post and overviews. You're welcome. Glad to see you around again. I'm happy you liked the interviews. Thanks @touchinglives You've got a great series going for you. Keep it up. Thanks. It was nice having a chat with you. But its more happier if we have rewards. Great post. Does anyone know if Smartcoins wallet will be developed for iOS devices also? Have to agree with everybody. Some nice information here. Interesting post but like the rewards big time! Very informative article that does a good job of summing up all things steemit. 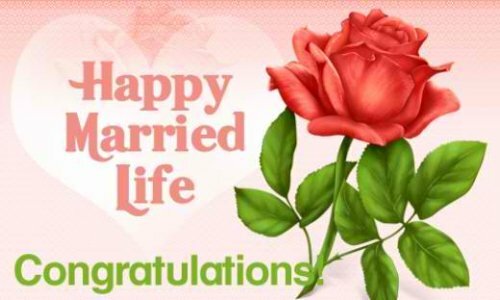 Wishing @complexring a Happy Married Life! Informative, engaging interviews with people who are working to make a difference. Thank you! Thanks @donkeypong for taking the time to have a chat with SteemMag. Keep up the great job.